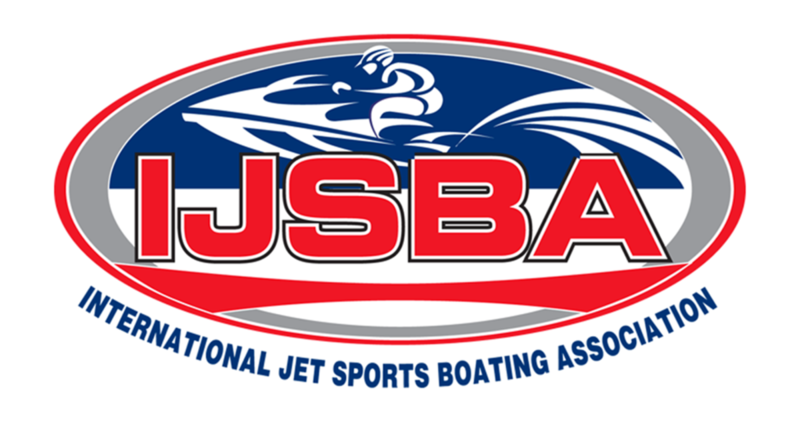 P1 AquaX is sanctioned by the International Jetsport Boating Association (IJSBA), the Governing Body for Personal Watercraft Racing. Any rider taking part in a P1 Jetcross event must hold a valid IJSBA membership/race licence issued by their National Authority affiliated to the IJSBA. Membership/Licensing structures will vary depending on the National Authority. Riders coming from non-IJSBA countries may purchase memberships on the day of the event or before, directly to JX Sports official IJSBA representative for France, or any other affiliated countries. Rider under the age of 18 must provide evidence of their age. Riders under 18 years of age must be accompanied at the event by a Parent/Guardian. All who are under 18 on the date of the race will be required to submit written consent of their parent or guardian to their participation in the race and confirmation of their acceptance of the rules governing the race. *For foreign riders under the age of 16 yrs (excluding French resident) who want to compete in France, they must provide a written certificate from their National Federation which approves their upgrade from Junior rider to compete in an Amateur category. All JX Sports IJSBA membership is available for a yearly subscription. 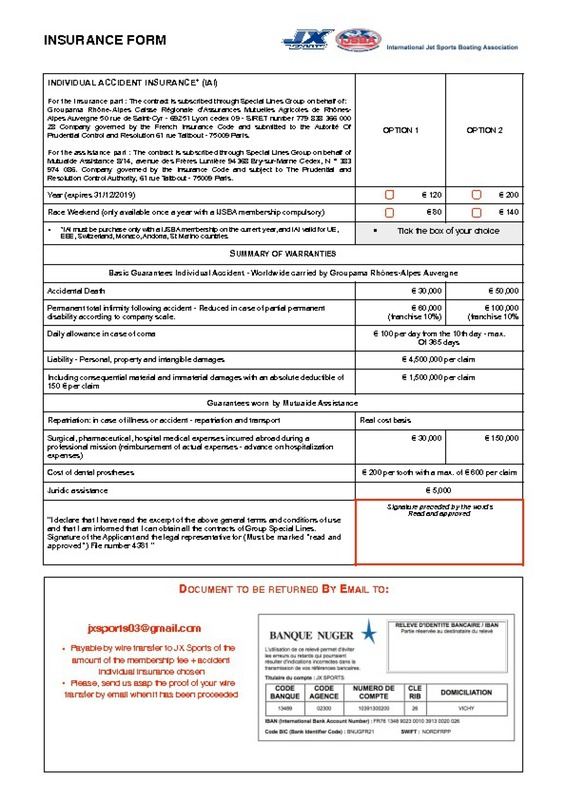 For any subscription of an annual/weekend License and/or Insurance during the day of an event, a management fee of €80 will be required by JX Sports IJSBA France, in addition to the price of the license and insurance where applicable. Your license/insurance must be sent 7 days before the date of the event to allow sufficient time to be processed. For European continental resident (EU - EEA...) we provide you through our insurance partner Special Lines Groupe a racer personal accident cover with worldwide repatriation. 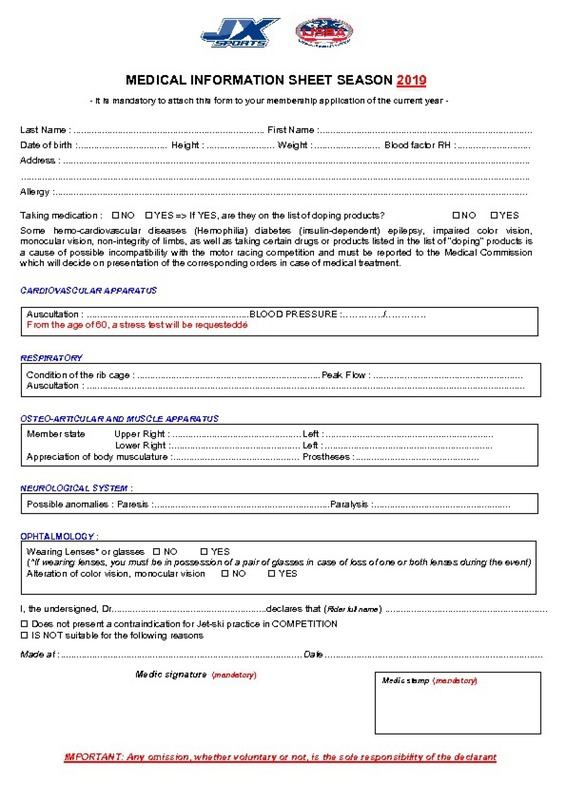 It is mandatory for a foreigner racers or national racers to subscribe or provide a valid attestation of Civil Responsibility in and out a race for a minimum amount of €1.000.000 and with the exception of coverage of the pilots and their PWC amongst racers. Our policy has been designed to offer racers cover for any IJSBA sanctioned event. Competitors must read the Risk Statement and Indemnity which is listed on the Race Instruction document and Entry form prior to taking part in a Jetcross event. 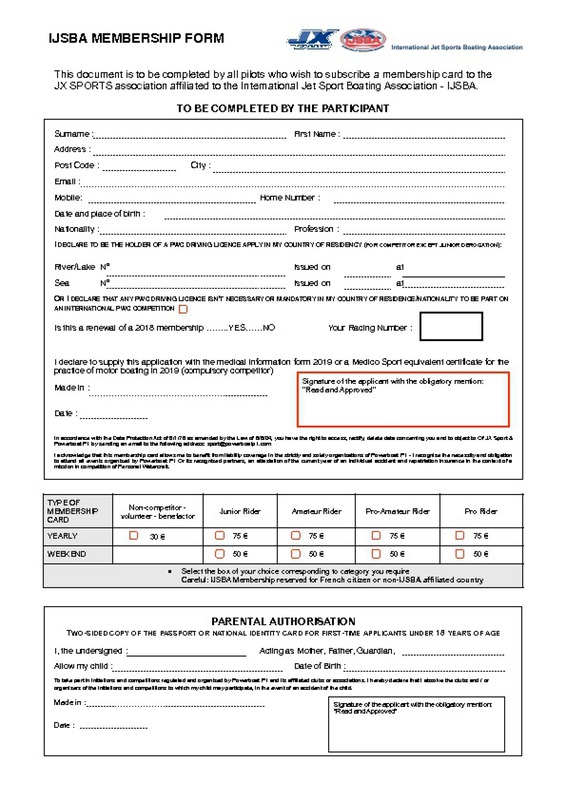 By signing the race entry form and the IJSBA official signing on form at the event all competitors are bound by the rules contained in P1 AquaX Rulebook, and Indemnity where applicable. It is the competitor’s sole responsibility to decide whether or not to start or continue in a race once passed technical inspection. Always Seek Independent Professional Advice In Insurance Matters.